Walter Headley was active in football, basketball and track but he is best remembered for his outstanding performance in football for which he was selected for the all-county team. Mr. Headley attended Mount Union College from 1933-1937 and was an All-Ohio tackle. 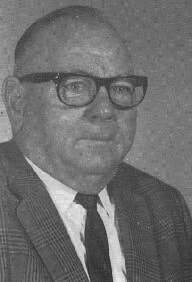 He was inducted into the Mount Union Hall of Fame in 1968. He acquired coaching experience at Mount Union College and Alliance, Braceville, Sebring, Waynesburg, Sandy Valley, Marlington and Magnolia high schools. His most gratifying experience concerning athletics was coaching a basketball team which was undefeated for four consecutive years, and that qualified for State Tournament for three years running. During World War II he served the United States in the War Department. Mr. Headley is now residing in Alliance and remains active in sports as Athletic Director at Marlington High School.